The Stelvio T3 Pro RED is a no-compromise road bike built for racing and elite riding. Built upon Marin’s ultra-light Tube-to-Tube UD carbon frameset with full carbon fork, the Stelvio T3 Pro has a host of go-fast features including a tapered headtube and Press Fit 30 bottom bracket for direct response to all-out pedaling efforts. 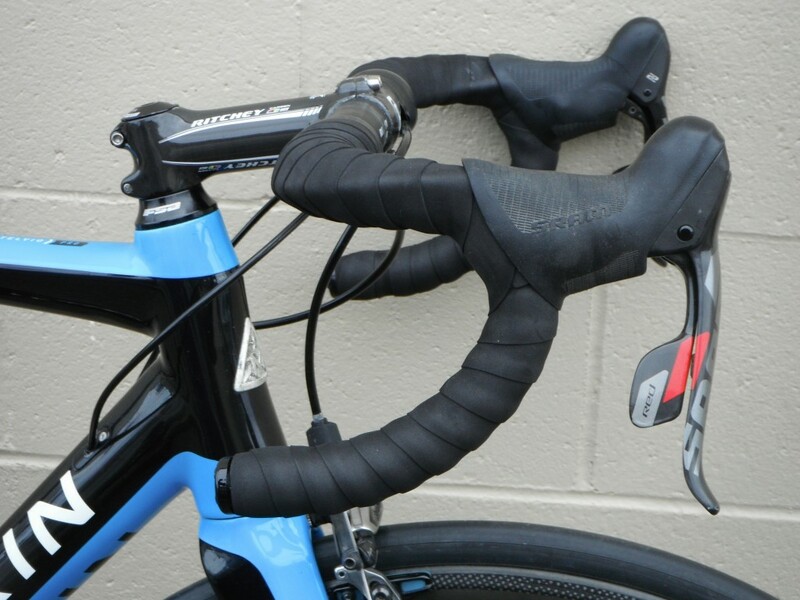 Unique Power Taper seat tube and RVS seat stays added compliance to enhance rider comfort, while our new 4-in-1 cable guide system allows for aero cable routing with easy access ports for both electric and mechanical drivetrains. 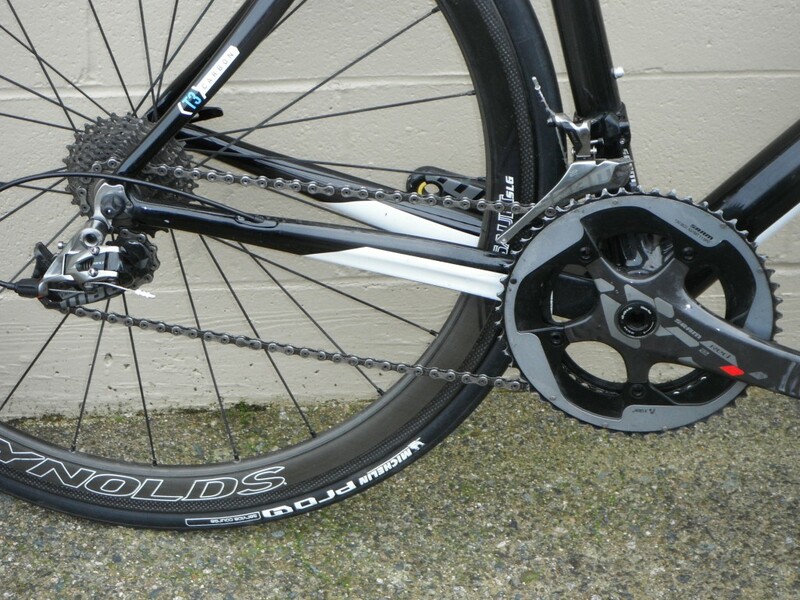 SRAM’s flagship RED 22 group is featured along with Reynolds aero-profile, carbon clincher Assault wheels. Ritchey WCS Carbon components adorn the cockpit coupled with a Prologo Scratch Pro saddle. 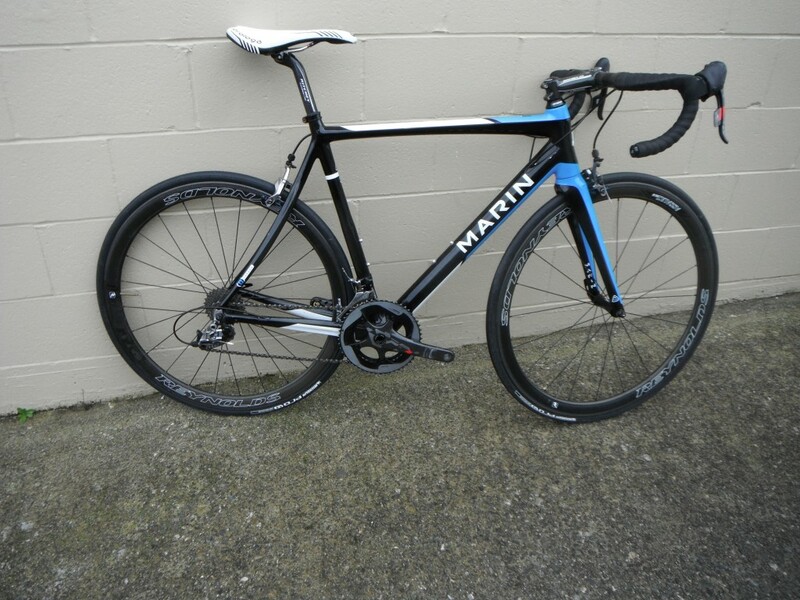 Carbon frame, fork, crank, and wheels. 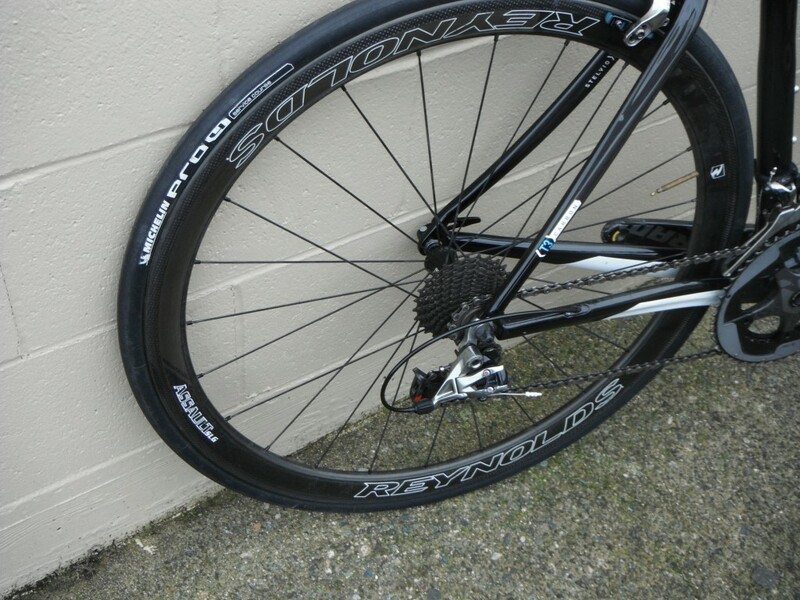 Carbon frames are generally manufactured as a “monocoque” structure. 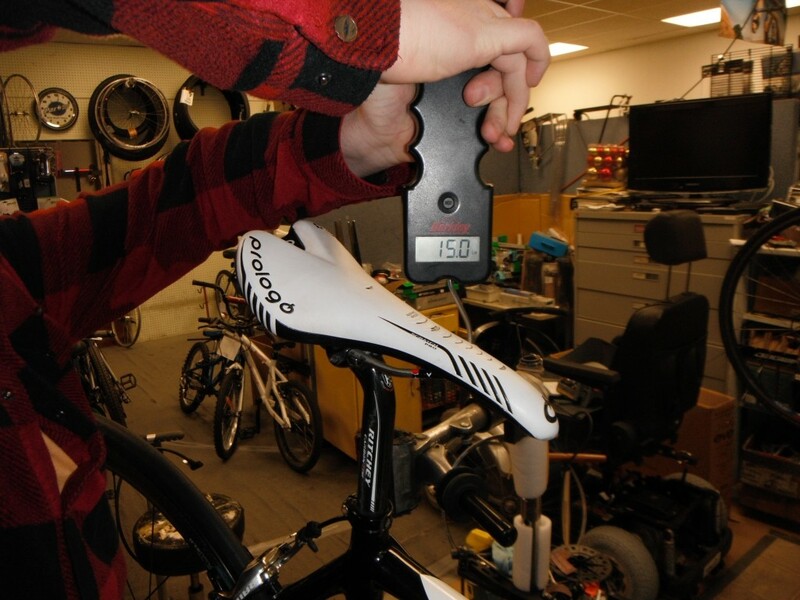 This means the entire frame, or significant parts anyway (front triangle, or rear triangle) are molded as a single piece. The bladders that are used to pressurize the frame during molding are difficult to control and may result in additional resin left inside the frame. While this can ensure good continuity of the carbon fibers through that part of the mold, all monocoque frames still require that frame parts be glued together. 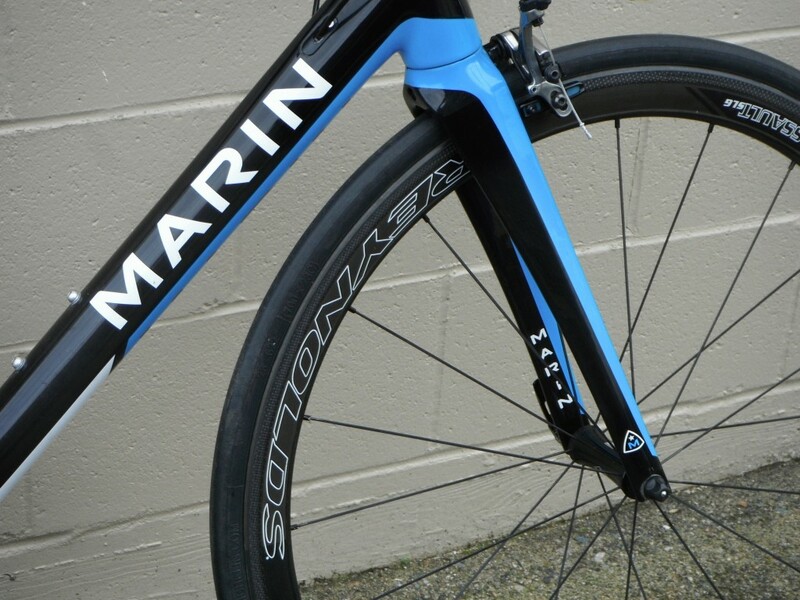 Marin employs this manufacturing technique where it makes sense, but in the road category, we primarily use T3 construction, also know as “tube to tube”. In this technology, each frame tube is individually molded, which allows us to precisely control the wall thickness of each tube, resulting in ride tuning perfection. Then, each tube is laid into a fixture that positions them to precisely the angles required for that frame, where they are then bonded into place, and reinforced with an additional lay up of carbon, before going into the heating ovens. This extra care results in absolute minimum weight, perfected ride feel, and a bike that you won’t want to climb off of.